Yarn Type Spattered with sequins, Soukie DK is a sophisticated yarn with cotton and shine twisted together in fabulous colours for women and girls. It creates glamorous hand knits for all those glittering parties and holiday evenings that catch the light and make you sparkle! 40% Polyester, 33% Acrylic, 27% Cotton. Machine Washable/wool cycle. Leaflet with designs for a Long sleeved cardigan and Short sleeved cardigan using Sirdar Soukie DK. 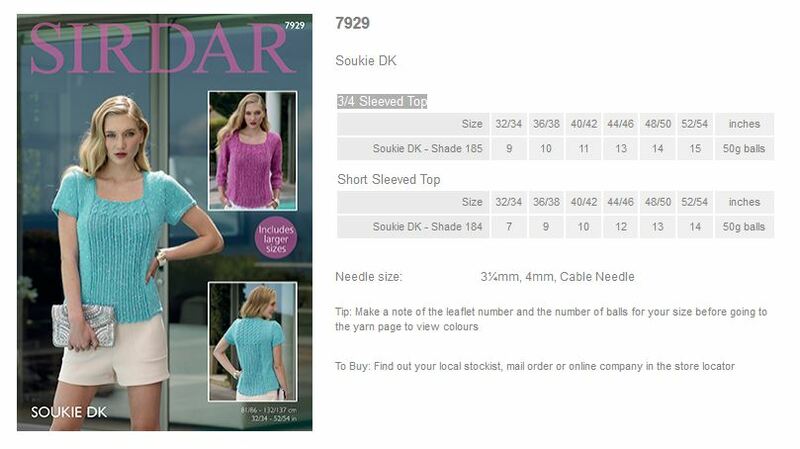 Leaflet with designs for a 3/4 Sleeved top and Short Sleeved Top using Sirdar Soukie DK. 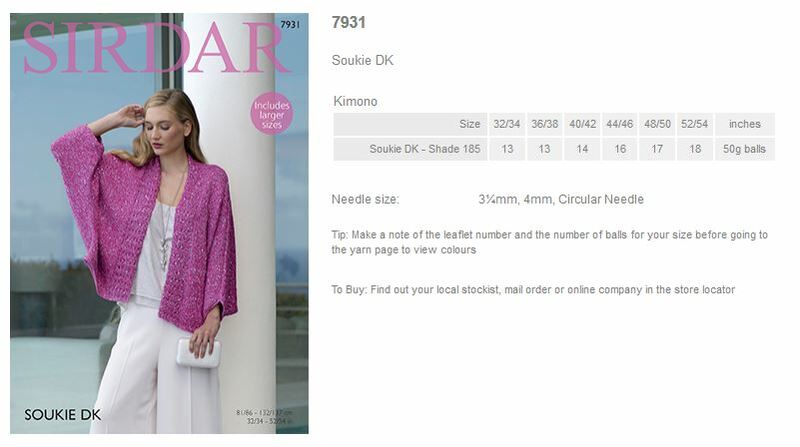 Leaflet with designs for a Kimono using Sirdar Soukie DK. 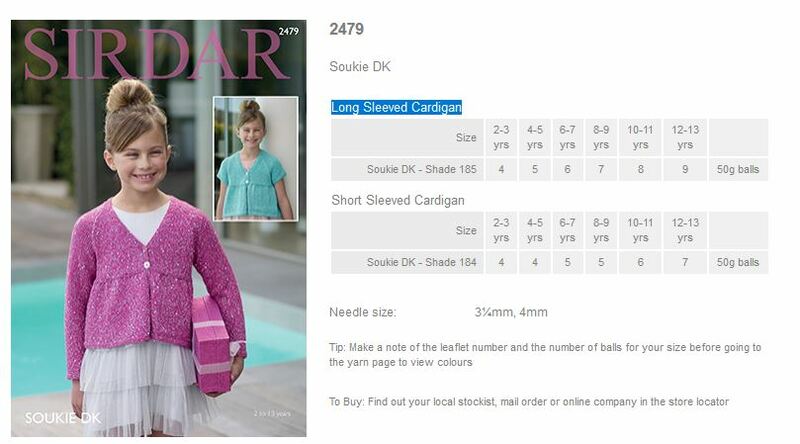 16 hand knits for women including designs for girls from 2 to 13 years using Sirdar Soukie DK. We have pretty styles for all ages from tiny Princesses to sophisticated, grown up girls in the most gorgeous golds, scintillating silvers and pretty pink and aqua tints. These stunning designs will take you from evenings next to a glistening sea to glamorous New Years Eve parties or wedding celebrations in simply sparkling style.